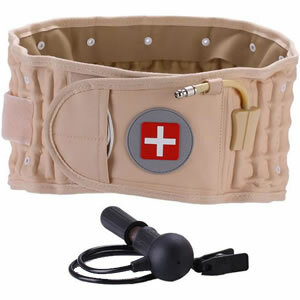 Decompression Back Belt is the decompression belt that helps you relieve pain just like a massager. It gives you support because of its clinical grade traction and decompression therapy. With this decompression belt you do not have to suffer from back pains. It gives the relief that you need. This decompression belt is light and you can wear the Decompression Back Belt underneath your clothing without anybody noticing it. You can wear this product for at least thirty minutes or the whole day. You have to inflate the Decompression Back Belt decompression belt with air. This product will enlarge vertically; stretches and it will add traction on your lower back. It’ works like a massager but it decompresses your lower back joints and spinal discs. This decompression belt is a pressure reliever that allows your deteriorated discs to receive water, oxygen and nutrients. This product will help you deal with your back pains that have affected you for a long period of time. 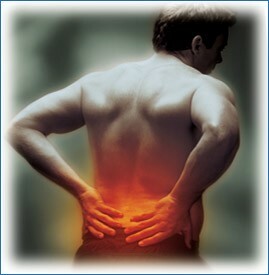 Back pain from sports such as golf, hockey, or racquet sports. Decompress lower back joints & spinal discs. Lift & keep upper body weight off lower back. Stabilizes lower back & improves posture. Stretch & relieve tight lower back muscles. Relieve lower back pain & stiffness. Using this device is extremely easy too. First, make sure that the Decompression Belt is completely deflated. Next, position the belt around your waist so that the bottom of the belt sits just about your hip. Shift the belt into position so that it is properly aligned on your waist and then tighten it as much as you can. A very snug fit is imperative for proper results, which is why it's extremely important to order the right size belt. Decompression Back Belt Next, pump up the belt using the included hand pump until you begin to hear the belt hiss. Make sure that you're in the standing position while putting on the belt so that the fit you achieve is optimal. Now that your belt is pumped up and secure, you should lie down with your knees propped up under two pillows, or sit relaxed in a comfortable chair. You are encouraged to wear the Decompression Belt at least 3-4 times each day for 30 minutes each time. Doing so will help train your muscles and your spine to adapt to the effects of traction. Your back will begin to get stronger and feel better. Once this happens, you can begin wearing the inflated belt several times per day for up to an hour at a time. The Decompression Belt can be worn un-inflated too and serves as an extra level of protection for your back. You can wear an un-inflated belt as often as you'd like, even while sleeping. 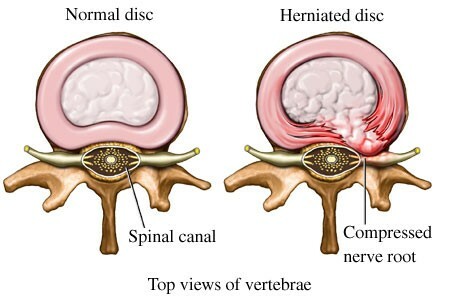 If you have a herniated disc, be sure to inflate the belt slowly to apply gentle and even traction. In the first week, use the belt for 20 to 30 minutes each time, 3 to 4 times per day. As you feel better in the second week, and thereafter, you can use the belt for a longer period of time or as you need it. If you experience any discomfort or pain after using the belt, it could indicate that your back muscles are very tight and you should stretch your back slowly and gradually to allow the tight muscles to accommodate. If pain persists, consult with your doctor before resuming usage of the belt. Patients with lumbar spine damage, acute lumbar injuries, spinal fractures, rib fractures, pelvic fractures, and severe osteoporosis. Patients with serious cardiovascular or respiratory diseases. Pregnant women and children should not use this device. As with any new product, supplement, or exercise, always consults your media practitioner.